Whenever it snows, I have the overwhelming urge to bake something. Not sure why, but I go with it. The bananas I've been ripening were ready, but I didn't have all of the ingredients for the banana muffin recipe I whipped up last month. I did, however, have some Snozberry Stout that I snagged from Great South Bay Brewery. 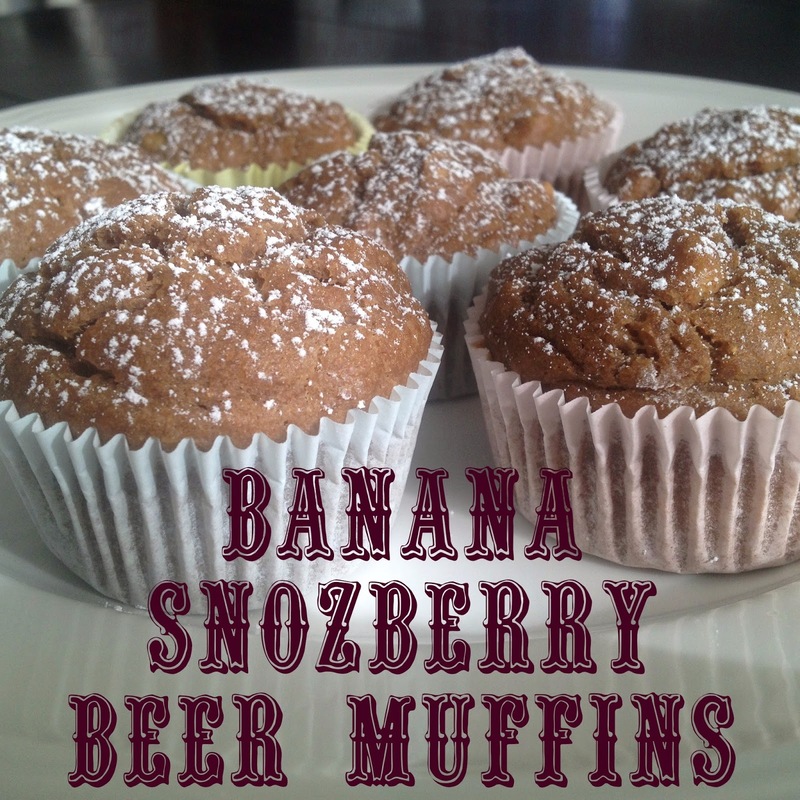 I've always wanted to make beer bread, so why not incorporate it into my muffin recipe? The beer by itself is phenomenal, but I wanted to see how it would fare in a kitchen creation. 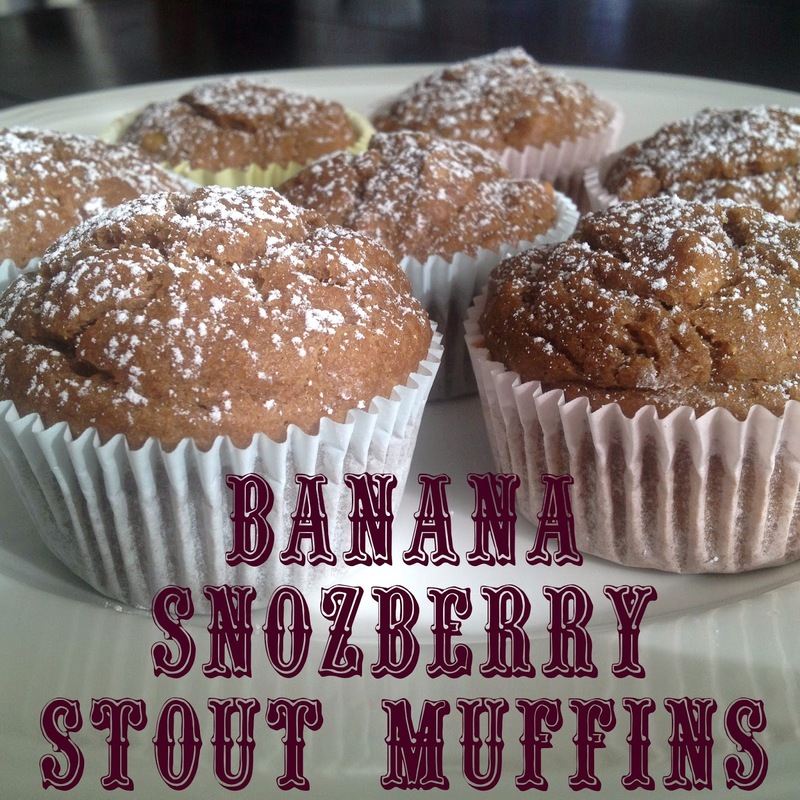 As I had anticipated, they're delicious + the powdered sugar adds the perfect touch. Preheat your oven to 350 + get your muffin pans ready [use paper liners or a non-stick spray. I'm lazy + always opt for paper liners = less clean up]. Add flour, salt + baking soda into a mixing bowl + whisk. In a separate bowl, mix bananas, sugar + vanilla. Add in the egg + gently mix. Slowly alternate adding the dry ingredients + beer//butter mixture in until incorporated, but don't over mix! Spoon mixture into muffin pan - you can fill a little more than 3/4 of the way, these don't rise too much. Bake for 15-20 minutes. Cool on stove for 5 minutes, then put on a wire rack to cool for additional 10 minutes. When you're ready to serve, add a dusting of powdered sugar to the top.